In a period of political unrest, it would be called ‘absolute ignorance’ to be unaware of the conflicts between countries, leaders and governments alike. Yet still, year after year, month after month, day after day, we hear about shameless and heinous incidents, atrocities and, I guess, ‘tweets’- all of which revolve around one pivot; politics and conflict. However, it is quite interesting to see what effect art can have on politics itself; arguably, art is more powerful than any war. Before a time of civilised democracies, when the monarchs were in power, in this respect- art was used to draw and depict powerful scenes from wars, in victory and defeat. There are innumerable paintings and sketches, as well as wall carvings, of military powers in action. Such art was quite neutral, in terms of the sides that the artist was in favour of, and it wasn’t always very clear as to whose side the artist belonged to. More often than not, militia artists from centuries would just draw what they could see or remember. 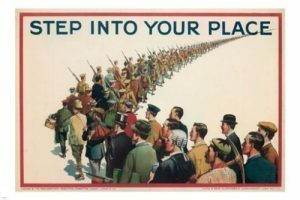 By the First World War, the power of art and their artists became more and more prominent and began swaying society a lot more than they used to. 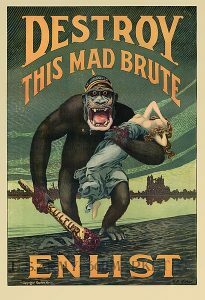 The first poster is an example of propaganda that aims to stir up anger within those that see it; for them to get angry with the “mad brute” that has so cruelly taken the damsel in distress. 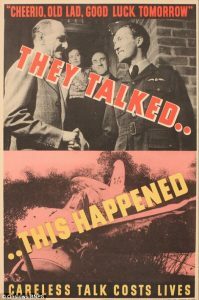 In fact, lots of propaganda had women as the subject of the message. They either had to be rescued or you, as a man, were not allowed to let them be more manly than you were. 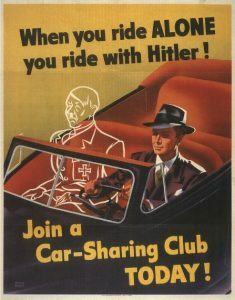 The latter point was terribly evident in the second poster, reading: “Gee! 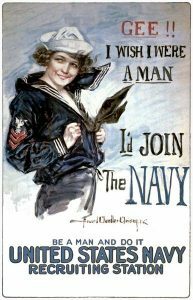 I wish I were a man… I’d join the Navy… Be a man and do it… US Navy Recruiting Station.” I will assume that you, as a reader, believe that that message was absolutely horrific- as I did. 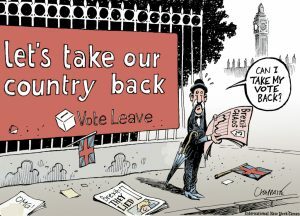 That was an example of psychological play on whichever man or boy that was to read that poster. In having a lady in the front, wishing to be a man so that she could enrol, that was meant to shame any man that did not want to join. To then demand that they should “be a man”, it is claiming that, if you weren’t to join the Navy at that time, as a male, you were a failure and you were not worthy to be called a man. 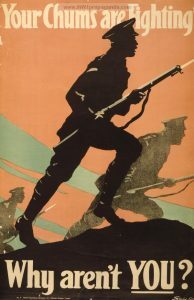 Needless to say, considering that British children have to study War Art and World War Propaganda as a part of our standard education, artwork such as these played a huge role in the lives of so many individuals; forcing them to give up their livelihoods and enrol into the armed forces to protect their country. 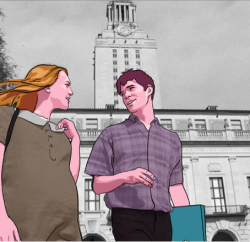 Although we take such art light-heartedly, the human mind can be easily swayed. Art depicts the artist’s mind very very well, and can often display the true opinion of the artist, which can be appealing to the viewer. It is important that, at such a time as this, we are clear-headed and we try not to let other people’s well-drawn opinions get the better of our own views. It is so strange to think how far art has come and how much it matters now! So, as you go on your way, maybe pick up a morning paper! You may find that, before the sodoku and the horoscopes, you’ll see a small comic strip. Maybe it’ll showcase Theresa May or Donald Trump, or maybe even some chaotic European leaders… Whatever happens, just laugh, roll your eyes, and stick to your own beliefs.